If I could choose the perfect way to spend my day it would be in the company of a flock of sheep in the middle of nowhere. Well, that’s exactly what I got to do last month when I had the pleasure of being invited to visit Deborah at the Living Rug Company. 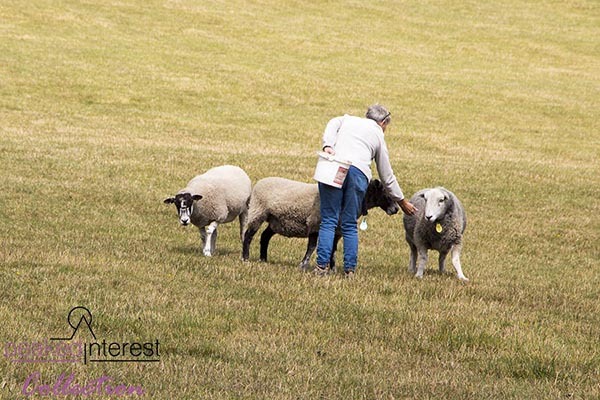 She is a very dedicated “Sheep Botherer” just like me 😊 (my husband’s description of me stalking sheep for pictures when we are out and about. 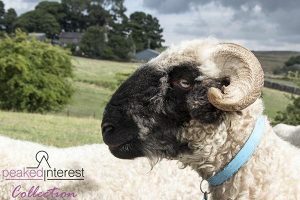 All of Deborah’s flock are rescued sheep, who get to live a very happy life skipping around on her Staffordshire/Peak District smallholding situated 1,300 feet up on a hilltop. 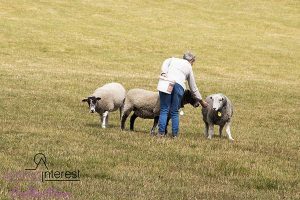 Her sheep earn their keep by providing their fleeces twice a year which Deborah felts and sells to an ever increasing list of customers. 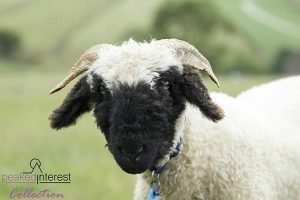 Deborah has created a beautiful range of decorative & practical household products from the wool and yarn to knit your very own sheep if you wish. The sheep are eco friendly and organically raised in a beautiful setting where you can see the weather approaching for miles around. We took advantage of the opportunity to get close to them and take some wonderful pics whilst we were there. A little background. Deborah is originally from Yorkshire but moved to the Peak District 28 years ago. She admits that she’s not a girly girl but loves the rugged environment on the farm. She told me how warm she felt when she rescued her sheep from the food chain and still does. She’s overwhelmed that she saves their little lives from certain death. Her day starts at 4.30am and even though on a cold damp morning she curses having to get out of bed, once outside she feels invigorated by her surroundings. She very kindly offered to walk me around the farm and allowed me to meet some of her flock. 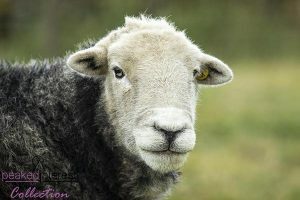 With the aid of a large bucket which brings them running, I was able to get some lovely strokes in with Monkey, a very amiable Valais Black Nose, Pumpkin a lovely freckled mule and Ian, a very handsome Herdwick who I could have taken home with me. Why do they always look like they are smiling? Needless to say, I was like a pig in muck. Is there an expression relating to sheep like that? “A sheep with a bucket” I suppose comes a close second. Following our trip around the farm we sat at the kitchen table to have a chat and a cuppa along with her 3 cats who were enjoying the warmth provided by the Aga. Deborah showed me a couple of her rugs and they really are exquisite, nothing like those you could buy in the 70’s which were dyed hideous colours. I had a bright orange one back then by the way. These Living Rugs come in a range of natural shades and tones which harmonise with most colour schemes. They also feel divine to run your fingers through. It’s just like stroking your very own sheep. 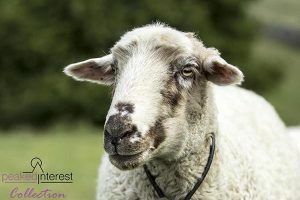 It wasn’t long before questions were coming to mind to ask Deborah, particularly how she started the Living Rug Company. 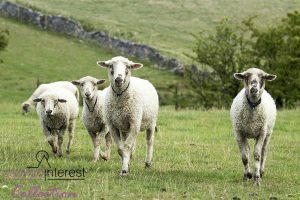 She went on to explain that with 40 acres she needed to find something to do with her flock and the wool aside from spinning yarn. 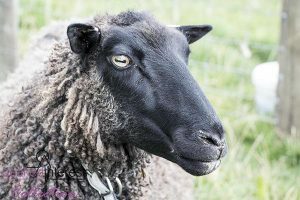 Having researched online she discovered that there was nobody in the UK who was providing cruelty free products, although there was over in Amsterdam. She could see an opening to sustain her flock. Her next task was to get the name out there. 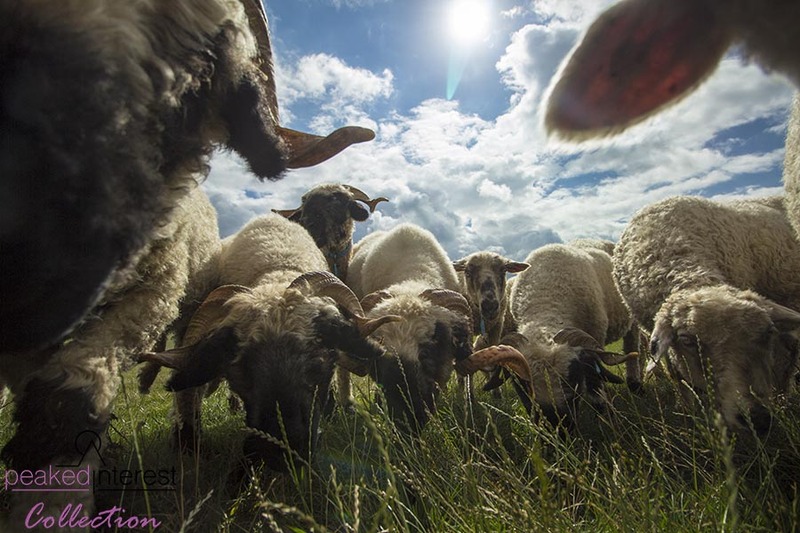 So she set up an Instagram account taking pictures all around the farm of her rugs. 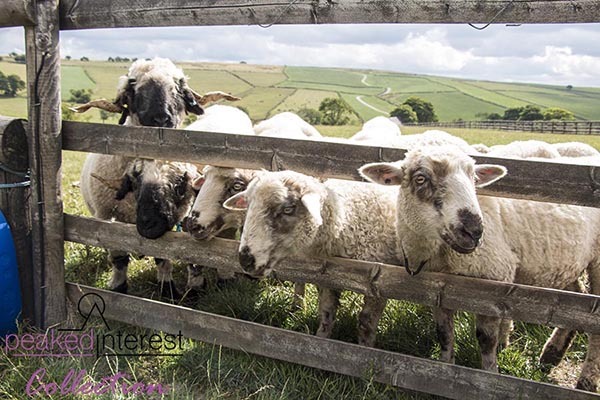 The account became a huge success, so she started to post images of the sheep and explaining where they came from and the public were very responsive. America showed a resounding interest with half of the first year’s orders being shipped over. Popularity of her products has increased in Europe too. 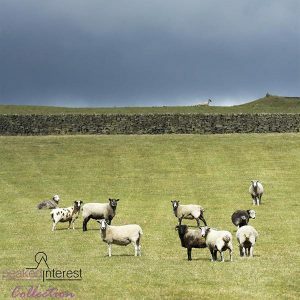 The products have been a great success with vegans & vegetarians because the sheep are sustainable and the process of creating the rugs is cruelty free. These sheep have a very good home for life on Deborah’s farm. So was time to mechanise and look for a rolling machine like the ones they used in the Netherlands. But the guy who made these had unfortunately retired. With her tenacious attitude and desire to succeed Deborah managed to source just the machine she needed in the USA & set about having one shipped over. 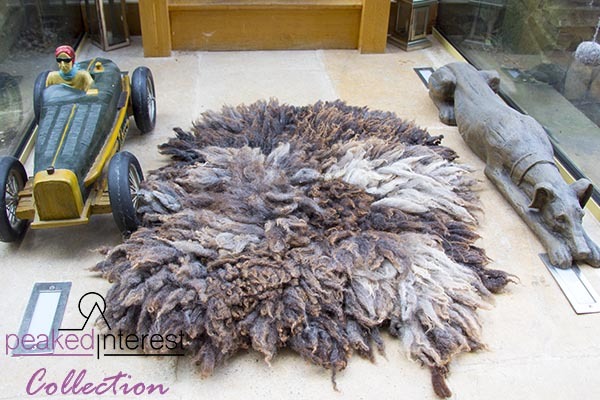 This dramatically increased her productivity enabling her to produce up to two rugs per day! At the time of writing this production had ceased due to a lack of water as the UK sees its worst drought since 1976. The fleeces have to be placed in a large vat of water and soaked for 2 days before the felting process can begin and Deborah’s farm operates from natural water springs, one of which had dried up. The production process uses vast amounts of water. Producing rugs in this way is an artisan craft and Deborah painstakingly ensures that each one reaches her exacting standards. Because of the huge popularity of the flock Deborah created a calendar featuring them every year. This should be available this month with the proceeds being given to charity. I have one on order so hope to be receiving it soon. If you would like one too you can purchase one through her website here.